We have all heard of the “credit crisis”, the “subprime crisis” or the “credit crunch” this year. Banks have lost billions and stock markets have fallen, However, not everyone has lost money. One individual did predict the credit crisis and has made a huge profit. 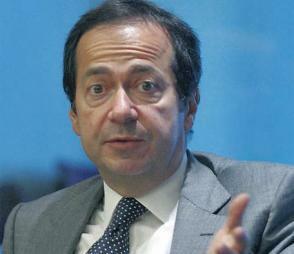 He is John Paulson, a previously obscure hedge fund manager from New York, who took home $3.7bn (£1.9bn) last year, after betting on a calamity in the mortgage market. JP Morgan Chase is to buy Wall Street’s fifth-largest investment bank, Bear Stearns, for $2 a share, a fraction of its previous value. The news has rattled investors worldwide, who fear that the credit crisis is deepening. The bank got into trouble over its sub-prime mortgage debts, and other banks had stopped lending to it. The rescue has been backed by the US Federal Reserve, who will lend $30bn and lower its discount rate to 3.25%. The discount rate determines at which rate banks lend to each other, but the Fed is widely expected to slash interest rates that affect consumers as well – by up to 1% – when it meets on Tuesday. Taking inflation into account this would take interest rates into negative territory. And it has created a new lending facility for big investment banks, who will be able to borrow against the value of their mortgage assets. Stock markets fell sharply around the world on Monday, with the Hong Kong index down 5%, the Japanese market nearly 4%, while London’s FTSE dropped 100 points on its opening. The deal values Bear Stearns, which has been at the centre of the US mortgage debt crisis, at just $236m. Its shares have lost 98% of their value since their high of $158 in April one year ago, when the bank was worth $18bn. In October, the shares had fallen to $117. On Friday, the ailing bank’s shares had fallen 46% to $30 after an emergency rescue package was announced. Under the deal, which emerged on Sunday, the Federal Reserve will fund up to $30bn of Bear Stearns’s less liquid assets. In turn, JP Morgan will guarantee to meet all the payments due to Bear Sterns clients.